Asian American Studies, Ethnic Studies, American History. "Terrific! 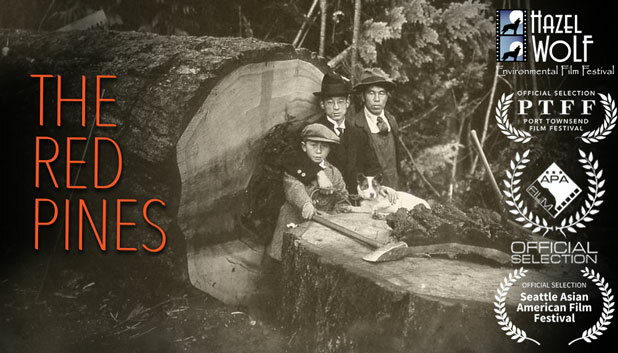 In 12-minutes, The Red Pines provides a thoughtful, well-crafted survey of the pre- and post-war Japanese American experience on Seattle's Bainbridge Island. This documentary is also perfect for secondary, junior, and high school classrooms." "The Red Pines tells an enormously important story. Bainbridge Island was the first Japanese American community forcibly removed by the US Government during WWII. All the injustice, the irony, the support, the tragedy, and the courage are evident in this short, accessible video." "'Akamatsu,' or Red Pine exemplifies the resilience and endurance facing hardships as a metaphor for the true story of the Bainbridge Island's Japanese Americans. From the immigrant generation, the Issei, to the third and fourth generations, this short documentary traverses the difficulties faced by this group, from the lumber mill days, the WW II incarceration, to the social acceptance they find today. It was a difficult journey told in an absorbing and very inspiring way." THE RED PINES, a short film for university and K-12 classrooms, portrays the history and struggle of Japanese Americans on Bainbridge Island, Washington, and the legacy of their culture in the present-day community. From the story of Zenhichi Harui, a Japanese immigrant who came to Bainbridge Island in 1908, to the present day nursery business that was run by his son, Junkoh, the film traces the obstacles overcome by the Japanese pioneers and their families. Bainbridge Island represented a unique opportunity for the Japanese immigrants, with a multicultural community that tolerated diversity. Even so, from the laws preventing Asians from purchasing land to the incarceration during World War II, Japanese-Americans had to exert an extraordinary amount of spirit and hard work to prosper. THE RED PINES was commissioned by IslandWood, a leading environmental learning center located on Bainbridge Island, Washington. Produced and Directed by Lucy Ostrander, the Executive Producer was Katie Jennings https://www.linkedin.com/in/katiejennings/.